Voice lessons for all levels. Taking a class with Kendra is pure fun! Voice lessons are an opportunity for you to be inspired, grow, laugh and develop your own expressive singing voice. Whether you are a first-time singer, or experienced, I focus on creating an inspiring, exciting and comfortable environment where you get to discover and develop your natural voice. Kendra brings years of experience as a professional singer, actor, and vocal coach. She received her B.A. in Theatre and has performed everything from pop to jazz to inspirational music. She has been the lead singer in bands, sung inspirational music as a church soloist, and performed in musicals throughout the United States. She currently sings as a guest soloist at the First Church of Christ, Scientist in Boston. Learn more about Kendra and hear what her students have to say. 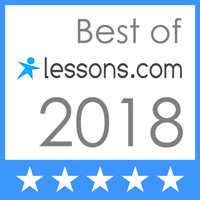 Sign up for your first free voice lesson today!